It’s ideal to get all the nutrients we need from the foods we eat, but for most of us, it’s not practical. STAMBA delivers what’s missing from our diets. 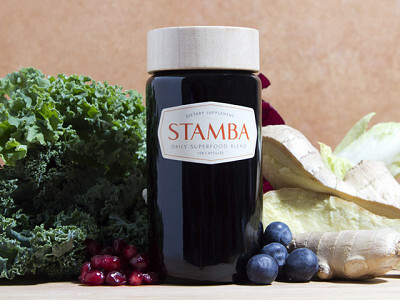 Created by Asa Siegel, the STAMBA daily superfood blend is packed with some of nature’s most important nutrients that work to boost your energy levels, support your immune system, and keep your body at its best. Many vitamins and supplements are synthetic, but not STAMBA. It’s derived from organic and natural ingredients, including acai berries, maca root, raw cacao, and mangosteen. The ingredients work in concert with one another -- freshwater greens, plant enzymes and medicinal mushrooms can bolster immune strength, while adaptogenic roots and rainforest berries can help sustain energy and fuel recovery after physical exertion. Superfoods have been touted worldwide for their healing powers and renewing capabilities. Asa has made them convenient and accessible, without compromising quality. The ingredients in his STAMBA blend are organic, responsibly sourced, and vegan. The capsules are a fast and easy supplement to add to your wellness routine. Superfoods, super easy. 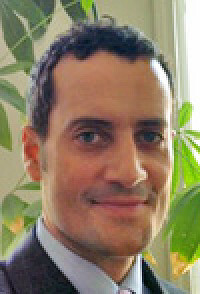 I’m Asa, founder of STAMBA Superfoods. As a Certified Holistic Health Coach, and avid nature lover who has spent 14 years living in New York City, I created STAMBA to make the depth of nature’s nourishment easy to access and integrate into modern lifestyles. I look forward to answering any questions you may have. Your product sounds very interesting, especially with the endorsement from the Grommet folks! Does one jar represent a month's supply? Glad you are excited about STAMBA. We are too. There are actually 27 servings per container depending on how many pills you take at once. If you take 4 pills at once, it will last 27 servings. However, if you only take 2 pills at a time, it will last longer. You replied to Anne that there were 27 servings per container~does one serving represent a days worth? Thanks for your question. Yes, one serving equals one day's worth at a the recommended 4 capsule serving. It's recommended that you take 2-4 tablets daily and there are 108 tablets in the bottle. So one serving can be a day or 2 days worth depending on if you take 2 or 4 each day. How much caffeine is in this? There is a very negligible amount of caffeine that is naturally occurring from the raw cacao in the blend. STAMBA is not based on the notion of "boosts" coming from caffeine, sugar or stimulants. The experience of vitality is a reflection of the body's response to having true and complex nourishment. Would the mushrooms in stamba have a negative effect on people who have mold allergies? An allergy to mold spores is distinct from having an adverse response to consuming fungi, or the mycelium of the medicinal mushrooms in STAMBA. With this being said, I think gauging your response to consuming mushrooms would be a more accurate indication of how your body would respond to the STAMBA blend. More hype on the "Superfood" idea. Sticking a tiny amounts of these foods" into capsules, isn't going to given you very much at all of the things you are looking for by each this foods. According to the label, this isn't even extract or concentrations of the key healthful compounds in these these food. Swallowing mere tiny fractions of these aren't going to do you any good. Eat a whole mushroom, eat a whole mangosteen, eat a handful of blueberries or acai berries. This is not an answer to eating properly to begin with, and this "product" will not miraculously give you good health. This just feeds on hype to try to lighten your wallet. We've had multiple testers in our office that did in fact feel many of these benefits and it's also very convenient rather than eating all the vegetables. It's not practical for everyone. @ BJ I'm a big fan of fresh smoothies and raw food -- that'd be my first preference too. Unfortunately I can't always whip something up mid-day and for that reason I like what STAMBA is offering. A way to get those great health benefits in between meals (the added energy is a huge plus for someone like me who burns out midday). Thanks for your input. Eating whole foods is the best thing you can do for your health. I was raised on organic fruits and vegetables grown in our family gardens and raise my daughters the same way. With this being said, true, high quality, organic superfoods like those in STAMBA offer benefits that are not readily available in the foods we have access to in a modern American diet. A great example is one that you referenced, eating a whole mangosteen. Mangosteens are one of the most prized superfruits because of their antioxidant profile and are most prevalent in Southeast Asia. They are extremely hard to find even remotely fresh in the US. The most valued antioxidants in mangosteen, xanthones, lie in the exocarp, or rind of the fruit, which is not commonly eaten (think of eating the rind of a pomegranate for reference). In this sense, when you consume mangosteen powder from the entirety of the fruit, including the rind, you are actually getting a greater amount of its beneficial properties than consuming the sweet, fleshy part of the fruit on its own. The whole superfood powders that are in the STAMBA blend maintain their beneficial components in a concentrated form that is easy to integrate into your diet on a daily basis. Have there been any published case studies evaluating this product? Also is there a breakdown of the amounts of each ingredient available for viewing, prior to purchase? The packaging is very attractive, which I assume add to the overall expense of the product. After the initial purchase, will refills be available in generic packaging to make the product more affordable to those of us that are on a budget? The answer to your question is yes! The packaging is designed for reuse and that is meant to include reuse for capsule refills as well. We will soon have a larger violet glass bottle available with a 3 month supply and will have a 3 month refill of capsules available in "generic" packaging to make pricing more accessible for continued use. First of all I have to say I love STAMBA! I have been taking the capsules for the past few weeks since I discovered them on another website. I have felt a remarkable difference in my energy and overall well being...even sleeping better! Definitely looking forward to continuous use so the larger bottle and refills sound great. Do you have a mailing list I can get on to know when those are available? So glad to hear about your experience with STAMBA. All of the ingredients are most certainly listed on the STAMBA label and are listed under the details tab on the STAMBA Daily Grommet page. The specific quantities are not revealed as the balance of the blend is something that has taken a great deal of time to hone and perfect (I liken the specifics of the blend to a great recipe). Furthermore, all of the ingredients in STAMBA are tested multiple times for purity and encapsulated in a FDA, GMP and Third Party Certified facility in New York State. @ Rebecca I read your comment and immediately noticed that Asa did not answer the first part of your question about there being any published case studies on the product. Nor did he answer your question about the amount and types of ingredients in the product label. I responded to him directly and just wanted to let you know in case you do not get an updated response from him. He certainly was able to field the question about the upcoming availability of the refills for the product but totally ignored the first (and more important) part of your question. Makes me leary about this Grommeter. 64 - 27 servings per container"
I think you meant 54 - 27 servings. Might want to correct that. Asa, I liked your response to BJ's comment, but what about his point that the amounts of each item contained in the capsules is not enough to reap the potential benefits of those items. Also, I would echo Rebecca's sentiment that the jar looks beautiful, but in the long run, if it adds a great deal to the cost it might not be sustainable for the average person. You are correct. We have changed the numbers on our site. Asa will chime in shortly with answers to your other questions. To clarify, the suggested use for STAMBA is 4 capsules daily, not 2-4 capsules daily. I think Amy was referring to possible personal preference of different people. Imagine dry land needing water. When the land receives a deluge of rain, only a small portion of that water actually penetrates the soil, the rest runs off. Alternately, a steady, balanced rainfall brings replenishment to the soil and steadily penetrates the earth to fill the aquifers, vast subterranean reservoirs that are the richest source of water on our planet, our lifeblood. In the same way, a body seeking nourishment does not truly benefit from being occasionally "flooded" with nutrients, but rather the continual incorporation of a complexity of nature's nutritional bounty is what ultimately powers our body and is reflected in the experience of vitality and lasting well being. A seeming “little” can go a long way. This understanding that the steady integration of small portions of nutritionally rich foods is highly beneficial has been practiced by many cultures worldwide for generations. Hi. I have a question regarding the actual caplets that STAMBA is in. Are they vegetarian and not made from gelatin? It’s ideal to get all the nutrients we need from the foods we eat, but for most of us, it’s not practical. 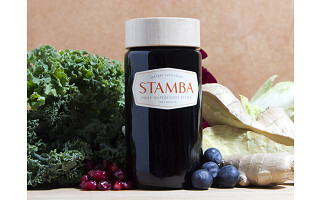 STAMBA delivers what’s missing from our diets. Created by Asa Siegel, the STAMBA daily superfood blend is packed with some of nature’s most important nutrients that work to boost your energy levels, support your immune system, and keep your body at its best. Many vitamins and supplements are synthetic, but not STAMBA. It’s derived from organic and natural ingredients, including acai berries, maca root, raw cacao, and mangosteen. The ingredients work in concert with one another -- freshwater greens, plant enzymes and medicinal mushrooms can bolster immune strength, while adaptogenic roots and rainforest berries can help sustain energy and fuel recovery after physical exertion.